Hello world! 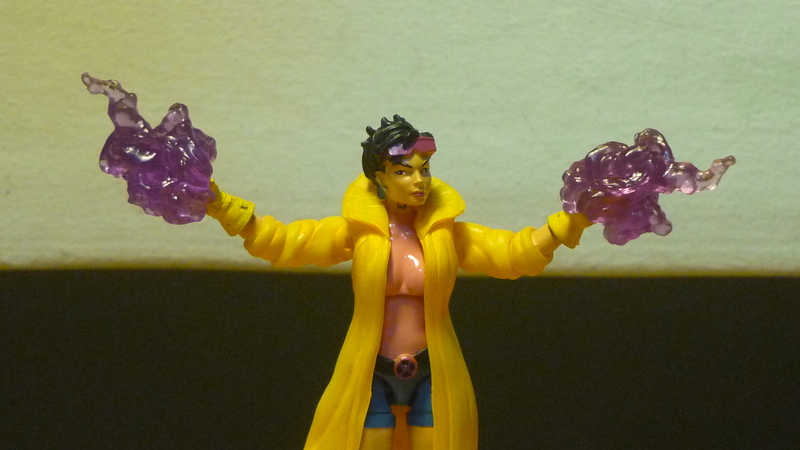 Today I’m showcasing a custom Marvel Universe figure that I have made – the mutant Jubilee based on her appearance on “X-Men: The Animated Series”. Frightened by the sudden manifestation of her fireworks powers, Jubilee runs away from her foster parents’ home to the local mall, only to be tracked down by the mutant-hunting Sentinels. The X-Men rescue Jubilee and take her under their wing, training her to be one of their own. 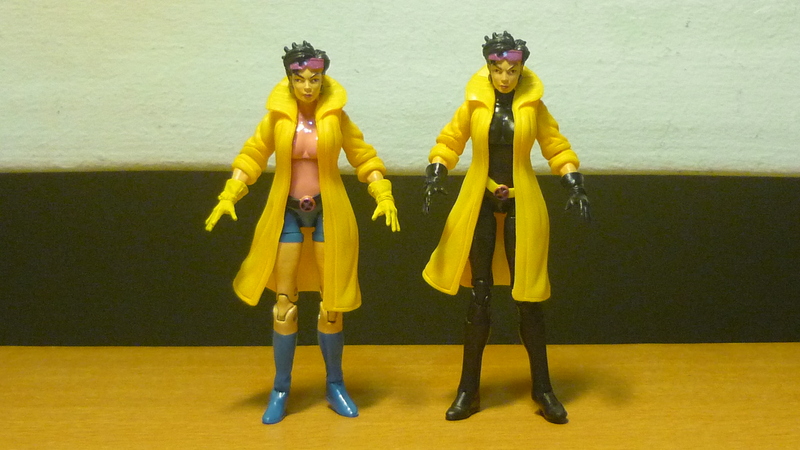 Here is a comparison of custom Jubilee and the original MU Jubilee which the custom was made from. 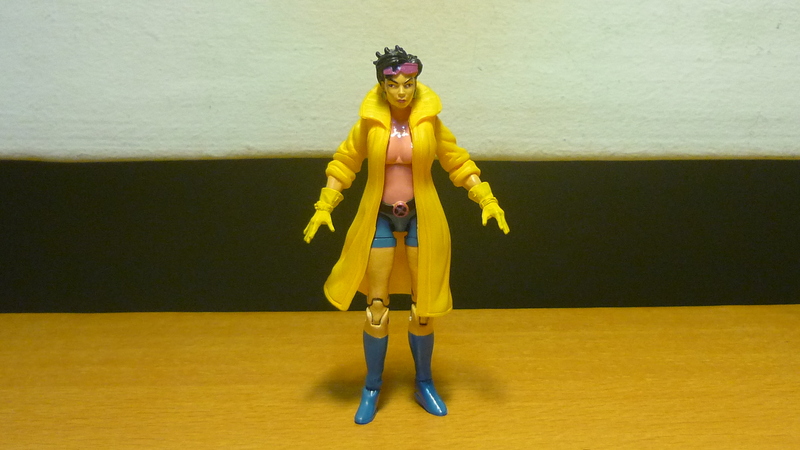 MU Jubilee is based on her more recent appearance in the comics, it seems that nowadays Jubilee wears a pair of black gloves, and a black catsuit beneath her yellow jacket. Whereas in the animated series, almost all the X-Men characters were based on their then comic appearances during the 1980s and 90s, including Jubilee. For the custom, in order to make her look a little bit shorter (and therefore younger), the lower legs were swapped with those from an older MU female figure, which are shorter and do not swivel below the knee. Black tape was used to create the cuffs for the shorts. The remaining tasks involved painting the rest of the body, including the neck, shirt, belt, shorts, legs, boots, and gloves. And the recipe for custom Jubilee comes from Kastor’s Korner. Jubilee shows off her fireworks powers. 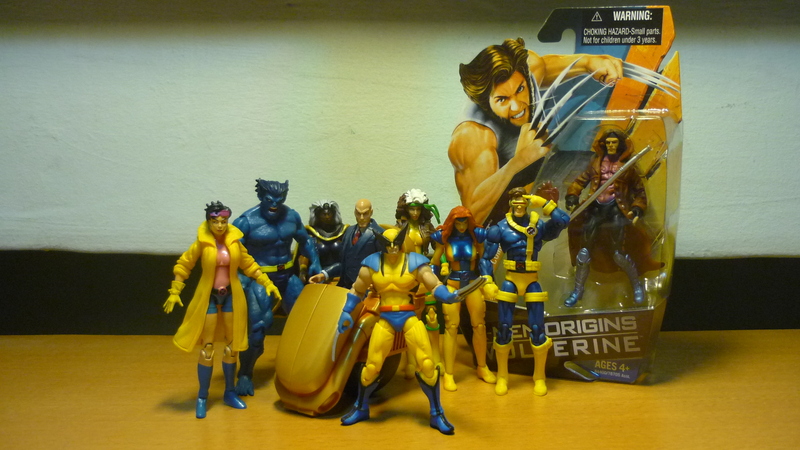 An ensemble of some of the main X-Men characters from the animated series. Actually, Storm wears an all-white outfit on the show, not a black one. Gambit is still MOC as he is more valuable this way. Jubilee appeared in the first three X-Men movies, and she will be making another appearance in the upcoming “X-Men: Apocalypse“. Now that I’ve mentioned about it, here’s the other ensemble from the upcoming movie. 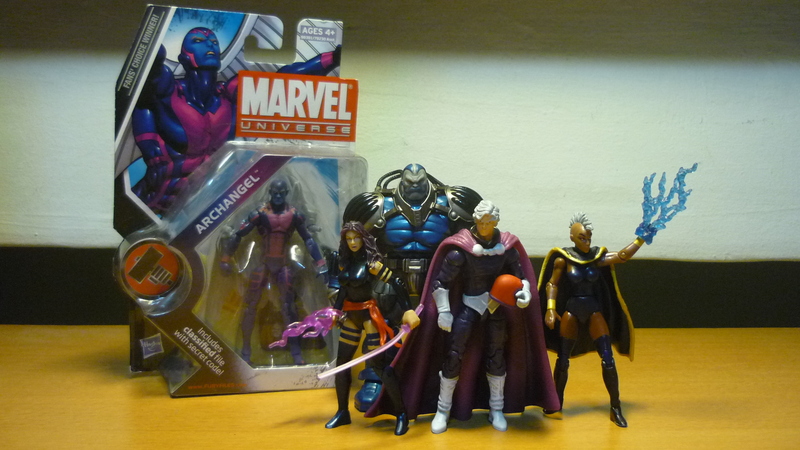 Apocalypse and the Four Horsemen – Archangel, Psylocke, Magneto, and Storm. And Archangel is still MOC as he is more valuable this way.